Home > MapleStory 2	> MapleStory 2 Launching Festival! Hey guys! You may have remembered that previously, I told you guys that MapleStory 2 would be having a festival in Korea to celebrate the game’s opening. However, due to an outbreak of MERS, they cancelled the event and decided to hold it completely online. It was yesterday, and they showed off a preview of the new content coming in July and August, as well as a new cinematic! After the showcase, users could log in to the game and join the Festival server to enjoy new level 40 content. 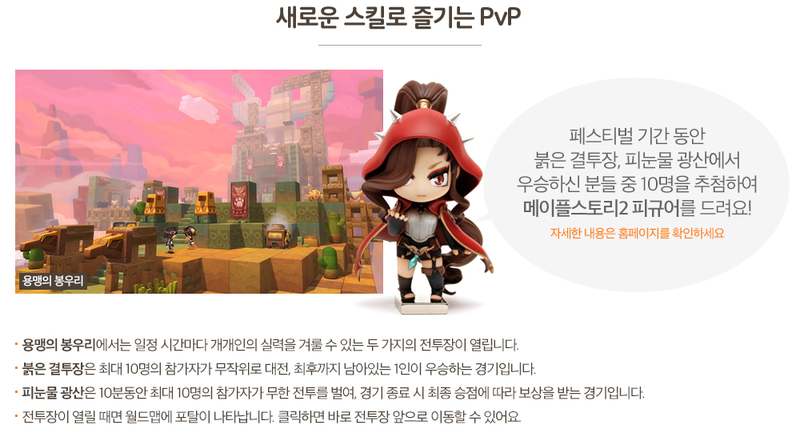 There was also a post about the trading system in MapleStory 2 which I talked a little bit about before. Here is the actual Launching showcase. It is really long (almost 3 hours!) so I’ll just talk a bit about what I remember seeing. At 3:45, they begin to show the 7/7 open specifications of the game. After 3 testing periods, the game will finally be available! 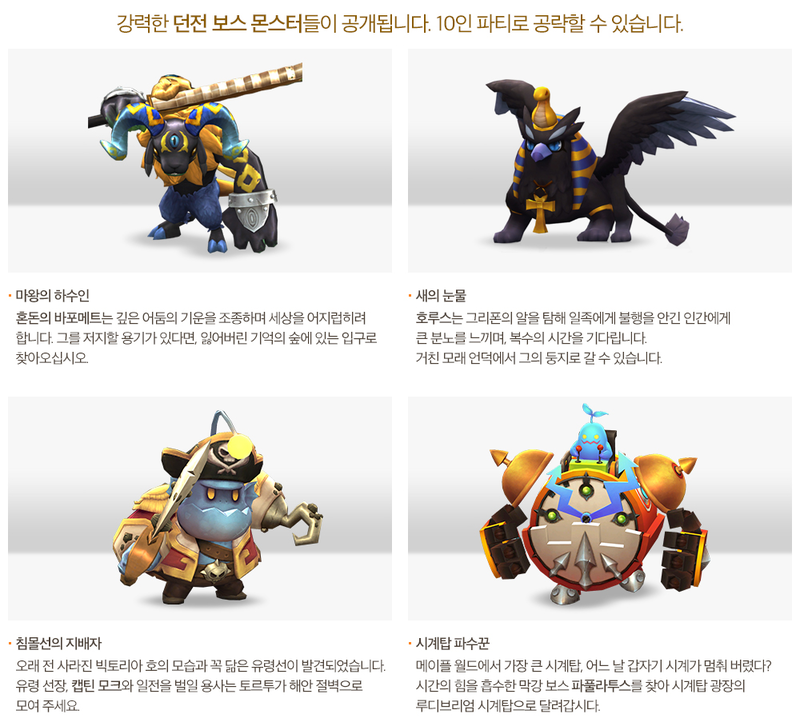 Fight bosses such as Horus, Bajar, Giant Turtle and Devlin with a max level of 30. Events such as attendance checks and Beauty Days which will award items worth 70,000 Won in total! A whole new group of GMs will also make their appearance. At 8:00, they show a preview of the content coming after the game’s release. The first large update will be coming in July and the second will be coming in August. Returning boss from MapleStory 1, Papulatus! At 11:35, they show off the 3rd cinematic, which you can see above! It looked really cool haha. That Heavy Gunner girl was pissed! The rest of the festival was showing off the game through various challenges between two teams. Let’s move on to the in-game festival! All users with MapleStory 2 accounts were able to login yesterday for 2 hours and join the Festival server, which allowed you to create 1 character. This character was raised to level 40 instantly (the cap) and they gave you 777,777,777 mesos and 777,777 Merit. The Bunny Girls outside Tria’s Grand Hall sold Elite level 40 equipment and potions as well as crystals for skill upgrading. You also got 777 Lotus Taxi Radios to make moving around Maple World easier. Sadly, I was not able to play yesterday, but I can show you guys some of the stuff that was available! First of all, many new maps were opened up for level 40s! With these new maps came new field bosses, such as Lolo and Mumus, Alpha Turtle, and Bajar Guard. Two new 4 person party dungeons were added, the Underground Castle Kidnapping and Protect the Enchantments of Life. You can find party dungeons on the world map by looking for the dungeon entrance icon. Underground Castle Kidnapping: A kidnapping incident has taken place in Tria. Beyond the tightly sealed door in the underground palace, what’s going on? Protect the Enchantments of Life: The true location of the Green Lapenta of Life has been found. Protect the enchantments of life from the mysterious presence trying to destroy it. Four new dungeon boss monsters have been added, requiring up to 10 people to take them down! Servant of the Devil: Chaos Baphoment controls a dark aura and is trying to disturb the world. If you have the courage to stop him, find the entrance to his dungeon in the Forest of Lost Memories. New Tears: Horus is angry with humans because of the misfortune they inflict on the Gryphon clan multiple times. You can find his nest in the Rough Sand Dunes. Sunken Ship’s Master: In Lake Victoria, a ghost ship which was said to have disappeared long ago has been spotted. Please come challenge the ghost captain, Captain Mock, and his crew at the Tortuga Coastal Cliffs. Clock Tower Watchman: Maple World’s largest clock tower has suddenly stopped? Find the boss Papulatus who is absorbing the power of time in Ludibrium Clock Tower. Papulatus actually looks really cool! And if you guys saw in the content preview above, his map is a giant clock haha. As all jobs have received some new skills, they suggested that users try them out in PvP. You can also go to Shadow World, which is open world PvP. Fight alone or join a party to protect yourself from other Maplers. Another thing you can do is decorate your characters! You can go to Beauty Street in Tria to change your face and hair, buy special items in the Merit Market, or design your own equipment/buy other users’ designs! Decorate your own house (the inside and the outside!) as well! You can buy decoration items in the Bunny Girl’s Shop, Interior Square in Ellinia, or from the Merit Market. You can also buy a maid from the Bunny Girl’s Shop or the Merit Market, who will remain in your house and give you special items sometimes. And of course, there will be a ton of minigames with GMs! You can play games like Trap Master, Ludibrium Great Escape, Crazy Runners, Final Survivor, and Spring Beach. When an event is about to begin, you can open your world map and click the event icon in Queenstown to be automatically transported there from anywhere in Maple World. 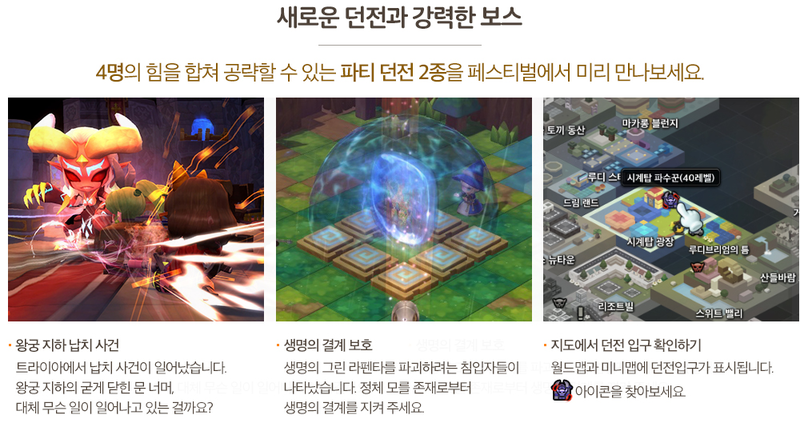 In a previous post, the GMs talked about how they want to control the economy of MapleStory 2. This included things like blocking 1:1 trading and only allowing trading through the Black Market. They clarified this a bit further saying 1:1 trading is allowed for equipment which is Normal, Rare or Elite rank (but not any higher). This will allow you to support new friends and guild members but you will still have to use the Black Market for high rank equipment. They also made some changes to the Black Market and Merit Market. Now, when you are selling items in the Black Market, there will be a delay on your item appearing in the market, from 30~60 minutes. And after someone buys your item, you will have to wait 48 hours to receive the mesos. In the Merit Market, when you sell a design you’ll have to wait 7 days to receive the Merit. There were no changes to buyers, who will receive the items instantly after purchase. You might be wondering why they made these changes. Well, in the current system, whenever there is an exploit or problem, there is a period of time where the glitched currency can be traded freely before they realize the issue. After that, it is hard for them to fix it without a rollback. But in the changed system, there is a delay on currency when trading which gives them time to find the issue and fix it before they are traded. This will give Nexon control over issues where glitches are abused to create currency and trade them with others. They also mentioned they have developed a system which allows them to shut down all trading systems without affecting the game servers. This lets users continue to play the game while they work on fixing any exploits which have occurred. I can’t be the only person who thinks this game looks tasteless and unappealing, could I? Even though they’re two entirely different games, imo MS2 will be much more enjoyable than MS1. No you’re not. I can honestly say the art style and 3d models disgust me. It looks terrible. 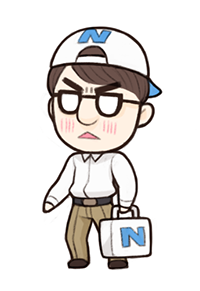 You can get a verified MapleStory2 nexon account from https://www.obtgame.com/verified-maplestory-nexon-korean-account.html?ac=0, Also their guys can verify your existing nexon account. Wow, I am actually pretty excited about it. Oh Max, so can you only sell your custom designs for merit and not mesos? That is correct, designs will only get you Merit. in that cinematic did she have a…stripper pole? I hear that’s all the craze now. 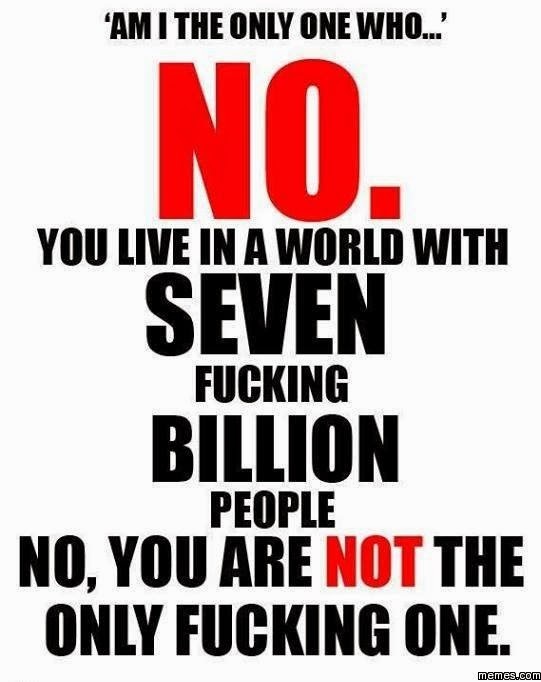 Especially, in Asian countries. Hell no beotch . . .that’s a private server, though I do wish some of those changes were for the official server like randomly spawning nether shields at a set chance. Beast tamer did get a revamp in tms tho, but it was just DMG adjustments and no new skills. So there is going to be a Global server for MS2, isn’t it? I cannot be more excited. My main worry is how interesting and immersive this world will be to explore. I feel like exploring in MS1 was one of the main reasons that game was alluring. Delving deeper into those areas had a specific feeling to it. The worlds were original and weird which made them intriguing and the art/parallax was detailed in a way that made them immersive. 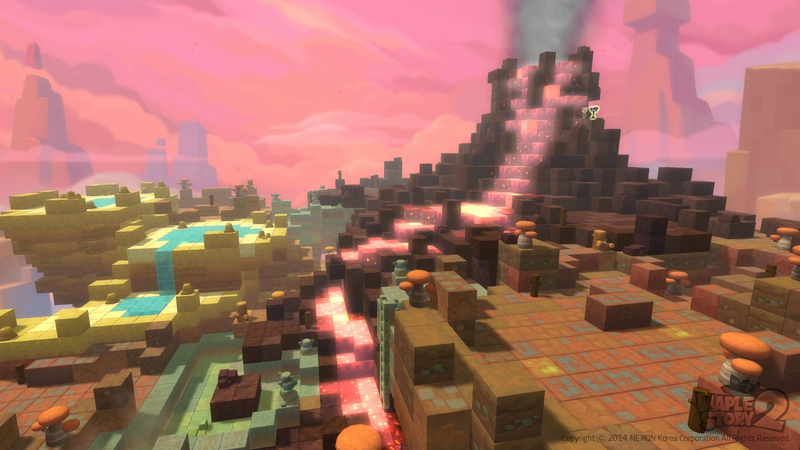 I think MS2 has a very pleasant aesthetic but it looks too clean and geometrical to feel lived in. I just can’t see areas in MS2 feeling as intriguing to explore as sleepywood or ludibrium. MS1 is hardly built for adventuring anymore. Yep, but it used to be and I miss that/am hoping this one will recapture that feeling. You’re comparing a closed area with an open area. You should probably wait and play MS2 a bit before making any assumptions. Be optimistic and look for good qualities and not what MS2 can or should be. Naah, the people who worked on MS2 used to work on MS1 back when they actually did work on glitches. So it’s just more of the same which is great in this case. MS1 went down when it changed. It’s just hard to improve on perfect. I wonder if we could get Mahoney to give a press conference? If he is still the CEO that is. They change hats more than US presidents during a debate. Ok nvm i just changed the browser… screw chrome.. When is the game going to be launched to the ocident? you can not deny this is a successful game ,but! It is different from maplestory! they are two games,no communication. The Festival server was deleted (along with all characters) after the event ended. Wait, the game launches on the 7th but the level 40 content patch says it’s being released on July 1st? Are there people who have been able to play this whole time, or is that a typo? Hey Max, I just bought a verified account for ms2 and i was wondering if i should play ms2 with a korean vpn? Somebody said that theres a possibility you could get banned or blocked if they caught you without one. Is this true or has nexon stopped ip banning? MapleStory Probability-Type Item Rates kMS ver. 1.2.238 – MapleStory Reboot: Character Balancing!